Event Info: Pumpkins galore, carnival games, hay rides, corn maze, kiddo haunted caboose, and a variety of Fall fruit and Halloween treats! Event Info: Pumpkin patch, pony rides, bounce house, straw bale maze, face painting, and professional photography. Event Info: Pumpkin patch, music, photo opps, corn kernel pit, children's entertainment, straw bale maze, and hayrides. Event Info: Pumpkin patch, train rides, hot food and snow cones, natural trail and playhouse areas. Event Info: Pumpkin patch, food, rides, and DJ dance parties Friday and Saturday nights. Event Info: Locally grown pumpkins, $1 rides, local live music. Event Info: Largest pick-your-own pumpkin patch in the Fresno-Madera area! Event Info: Please come in costume! Event Info: Free candy, games, and raffles. Everyone is encouraged to wear a costume. Event name: 4th Annual Boofest! Event Info: Join us for our 4th annual Boofest and Mall-Wide Trick or Treating event! Costume contest at 7 pm at Center Court inside the Mall. Carnival games, trunk or treat, reptiles, face painting, bounce houses, emergency vehicles, arts and crafts and more! Sponsored by the Clovis Police Department. Event Info: Trunk or Treat, carnival games, character hunt, pumpkin decorating, food, costume contest, pictures, & more. Event Info: Free candy, food, car show, and more! Event Info: Come out to our car show with a Halloween twist! We will be having a car show from 4:30-8:30pm our Trunk or Treat is from 6-7pm! Come out in costume and celebrate with the whole family! Please bring bags for the kids to trick or treat! Stop in our Oxotic office to get information on how to enter to win a 15 mile drive! We will be announcing the winner at the end of the night! Ray's Bayside BBQ will be there as a vendor with Soundbyleon as our Dj for the night! Event Info: Join us for our annual free community Trunk or Treat! Dress up, get candy and have fun! Free food, prizes and your neighborhood friends! 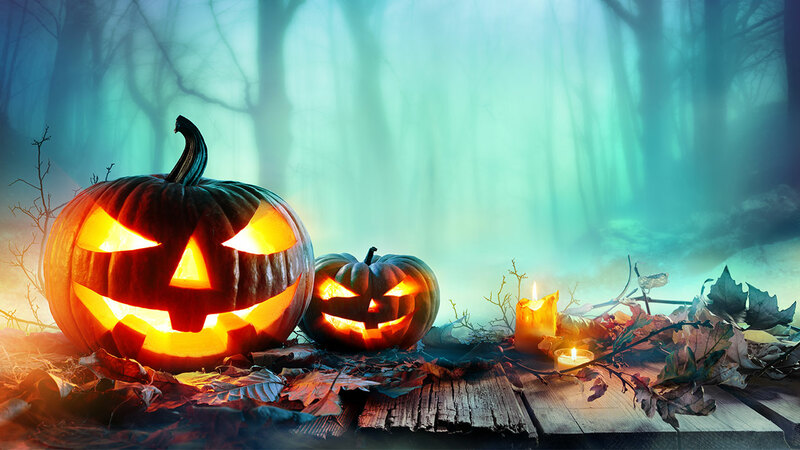 Event Info: Join us for our annual Trunk or Treat event at Quail Lake Community Church. This free event is open to all families in the surrounding community. Event Info: Activities will include trick or treating, talent show, carnival games, and more! Talent Show on Main Playground Stage from 12 p.m. to 2 p.m. Event Info: The Central Valley Community Sports Foundation is having a Trunk or Treat & Car Show for the Central Valley Kids! Come to Granite Park for a safer and more fun Halloween! Take your kids from car to car to get their trick or treat on while admiring some of Fresno's most EPIC cars. Then the kids get to vote on their favorite cars to win a trophy! Inside the park there will be a DJ with a kids costume contest with cool prizes for 1st, 2nd, and 3rd places. Also a full bar for 21+ and our food shack will be pumping out tacos, burgers, and much more! Best part is you get inside Granite Park free if you are in a costume!!! The Trunk or Treat (parking lot) is free to all families! Event Info: Trunk or Treat is a place for families to dress up, eat candy and enjoy the season. You can also plan to enjoy dinner as we'll have hot dogs, pizza, nachos, and other tasty treats available (for a minimal cost). Admission is free! Event Info: Fowler's Farmers Market is hosting a Trunk or Treat even for kids. The event is next to Panzak Park. Event Info: Join Fresno Building Healthy Communities for the second annual Well-O-Ween event. Well-O-Ween is a safe and healthy event for the children and families of southeast Fresno and the surrounding Calwa community. There will be games, healthy treats and more for children and families. Event Info: Come join the City of Madera Parks and Community Services Department's Halloween Carnival!! Event will be hosted at the John W. Wells Youth Center On Friday, October 19, 2018. Admission is FREE!! There will be a costume contest, games, arts and crafts, face painting, music, and more!! Event Info: Costume contest, games, arts and crafts, face paintings, and more! Event Info: Photo booths, trick or treat in the village, bounce houses and slides, face paintings, carnival games, costume contests, beer tastings, and craft fair. Event Info: Ages 2-12 can trick or treat at each decorated vehicle and have a fun time in one spot. Event Info: Pumpkin decorating, pizza eating contest, kids costume contest, Trick or Treat parade, and more! Event Info: Come enjoy our Annual Halloween Bash with us this year Dia De Los Muertos Style! Valley Cats will be our featured Band, Food will be sold by Burgers and More and there's going to be a costume contest! Event Info: Pumpkin patch, picnic tables, corn trail and outdoor games, specialty pumpkins and squashes. Event Info: Pumpkin patch, hay rides, corn maze, bounce houses, hay mazes, and more. Event Info: Trunk or treating, crafts, photobooths and more! Event Info: Trick or treating for all ages. Music and Mini Kiwins Carnival on site. $2 entrance but free for kids under 3. Event Info: Haunted House, fairy house, food, vendors, trick-or-treating and more! Event Info: Join us for a safe and absolute FUN night of trunk or treating on Halloween Night! This will be our biggest year ever! Food trucks, Haunted House, Lots of Candy, and carnival games for everyone! It only costs $1 to get in and gates open at 6 PM. Last year we had over 35 different cars celebrating Halloween night and our families! Event Info: Games, bounce houses, candy and hot dogs! Event Info: 5th annual trunk or treat. There will also be a contest for the "Best Decorated" trunk. Event Info: This is a community FREE event. Hot Dogs, Chips, Drink, Music, Games and LOTS of Candy. Everyone is welcome to join us. Don't miss out on our Annual Trunk N' Treat! Event Info: It's a HALLOWEEN PARTY at Thursday Night Market Place sponsored by Fatte Albert's Pizza Co. This is a costume party for all ages and there will be PRIZES! Best group costume, best adult costume, best kid's costume and more! The kiddos can enjoy trick or treating throughout downtown Hanford as well as shop for their pumpkin in our Certified Farmers' Market. Journey cover band MIDNIGHT RUN will be performing on the Courthouse Stage! This is the last Thursday Night Market Place of the season and we are going BIG! Event Info: Classic cars hosting a trunk or treat. Free for trick-or-treaters. Event Info: The 4th Annual Haunted Maze at the Hanford Civic Auditorium is scheduled for two frightfully fun nights. Saturday 7 p.m. - 10 p.m. and Sunday 7 p.m. - 9 p.m. October 27 & 28 - $1 admission wristbands available at the Hanford Parks & Rec. office 559-585-2525 - get your wristbands in advance and avoid the long lines. Wristbands will also be available at the door. Event Info: Train and fire truck rides, bounce houses, carousel, games, food and craft vendors, children's costume contest at 2:30 p.m. and bring decorated pumpkin for judging at 3 p.m. Event Info: Join us for our annual Trunk or Treat after church services. Decorate your car or come out and enjoy the treating. Event Info: Trick or treating, Halloween photos, face painting, balloon art, and more! Event Info: Food, face painting, and lots of candy! Event Info: Pumpkin and gourd patch, face painting, train rides, haunted train ride, basketball and baseball, bounce houses and obstacle courses, and more. Event Info: Pumpkin patch, train rides, hay rides, corn maze, and haunted trail. Event Info: This Halloween's Visalia Naz Trunk or Treat is "Treasure Hunt" themed. We will have new costumes, new trunks (decorated vehicles where candy will be handed out), good food, and lots of fun activities for the kids. Event Info: Candy, Games, Prizes, Hot Dogs! Come Join Us! Family Fun For Everyone! Event Info: Fall is here and we're excited to announce that we're hosting our first Trunk or Treat. We invite you to bring your family and friends to have some fun, and enjoy the festivities. Event Info: Village Halloween is a family fun free event, offering a safe a fun place for our imagineers to trick or treat. First 1500 guests will receive a halloween trick or treat bag.